Thanksgiving, Hanukah, Christmas, New Year’s—for most of us, these and perhaps a few others are the main holidays to focus on at year’s end. If you’re a business owner, though—and an ecommerce merchant in particular—then there’s one other day you should mark on your calendar: Cyber Monday. The Monday following Thanksgiving is one of the biggest shopping days of the year, a day on which many of your regular customers and clients are going to be in a holiday shopping state of mind. You ignore this day at your own detriment; hosting some Cyber Monday specials and promotions is a great way to seize some of this traffic and generate some real business. But there’s not that much time until Cyber Monday gets here—so if you haven’t planned your promotions, the time to do so is now! Allow us to offer a few pointers. You need to start building buzz now. Trust us: Your audience is already thinking about the holiday season, and many brick and mortar stores have had their holiday promotions and displays running for several weeks already. You’ve got to compete with that, so set the details of your Cyber Monday promotions and start hyping them on social media and on your website soon. Make sure customers can browse your features products/services now. Long before Cyber Monday arrives, many shoppers will be doing online research to scout out the best deals. Whatever items you are going to promote, make sure your website showcases them well, including a note about any Cyber Monday discounts or specials. Begin the process of creating content. You’ll want to promote your Cyber Monday offerings with images, ads, blog posts, and more—and you don’t want to have to create all of that content at the very last minute. Start compiling some of it today. Be meticulous and thoughtful in creating ad copy. On Cyber Monday (and really for the entire holiday season), your audience is going to be inundated with sales copy. Yours must stand out. Brainstorm email marketing subject lines, blog headings, and effective tweets now. Engage a writing team, like Grammar Chic, to help make your words memorable. Tap into your existing customer base. Cyber Monday can be a good season for new customer acquisition, but it can frankly be an even better time to re-engage with previous customers. Make sure your Cyber Monday marketing efforts include some emails targeted to the folks who are already on your mailing list. It won’t be long before the big day is here—so are you prepared? If not, get with Grammar Chic today to find out how we can help you. Reach out at 803-831-7444 or www.grammarchic.net. 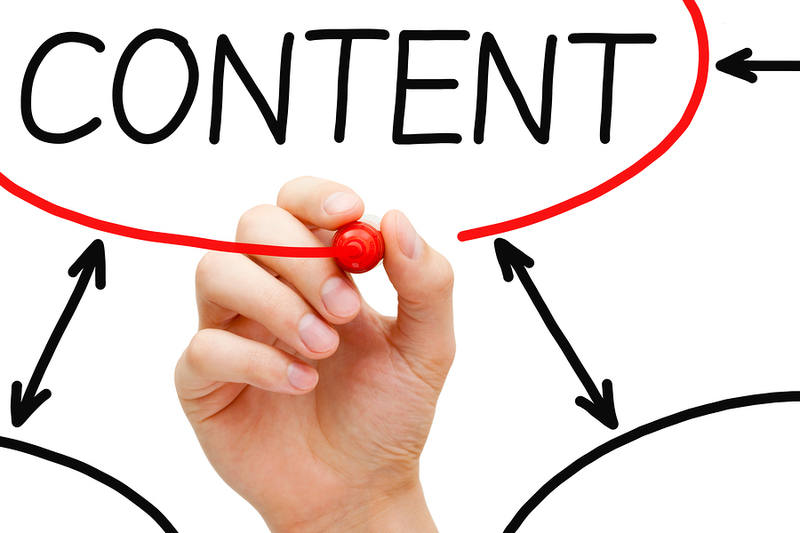 What will your 2015 content marketing resolution be? For some of you, it may be to get a content marketing strategy in place—at long last! For others, it may be to expand onto other social platforms; to be more prolific in your blogging and posting; or simply to do a better, more disciplined job of engaging with fans. Allow us to suggest that, for some small businesses, the best step to take in 2015 is to outsource your content marketing efforts to the pros—specifically to a firm like Grammar Chic, Inc.
You don’t have time for content marketing. If you’ve ever tried to do your own company’s content marketing, then you know how time-consuming it is to get everything done. You have to think up topics, write copious amounts of content, launch and maintain social platforms, respond to comments and questions, run reports—to really do it right, it takes a lot out of you. As a small business owner, you’ve got plenty of other things you could be doing—but we don’t. This is what we do. All day, everyday. Outsourcing can be cost– Because doing your own content marketing can take so much time, it ends up being less cost-effective than you might think. When you’re constantly focused on Facebook and Twitter, you’re not doing the other things that add value to your brand. While outsourcing your content marketing will certainly require a financial investment, you may well make up for it with what you gain in productivity. You know your business, but you don’t necessarily know content marketing. We don’t mean any disrespect, of course. We hope you’ve learned a lot about content marketing simply by reading the Grammar Chic blog. At the end of the day, though, your expertise probably lies somewhere other than Google algorithms, Facebook ad structures, and how to write a compelling headline. To get the best quality work, then, it’s always best to find a consummate professional. You could use a different perspective. Sometimes small business owners are just a little too close to their work, to their business baby, to consider it from a new angle, or to develop content with consumers in mind. Content marketing professionals can help. Content marketing is changing all the time. 2015 is sure to be another year filled with trends, fads, and game-changing strategies. Will you be able to keep up with everything—or could you use some assistance? The bottom line is that every content marketing campaign reaches a point where it’s time to hand it over to the pros. For you, that point may be right around the corner. Keep us in mind when you get to it, and feel free to call today at 803-831-7444, or visit www.grammarchic.net.